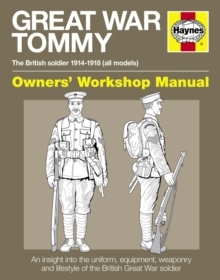 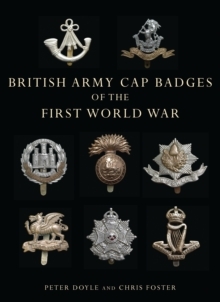 On the centenary of the Great War comes this poignant look at fifty objects never far from Tommy's side - official uniform, good-luck charms, phrasebooks, a sweetheart's letter, some unexpected and others more familiar. 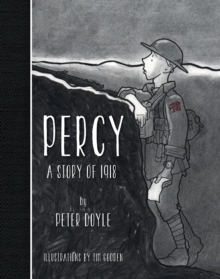 With sumptuous original photography and thoughtful text, this is life as the ordinary First World War soldier knew it. 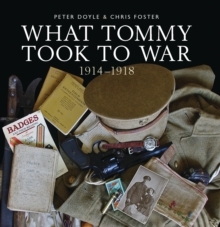 Inside front: What Tommy Took To War tells sobering, fascinating stories that bring the ordinary Tommy's experiences back to life with poignant immediacy. 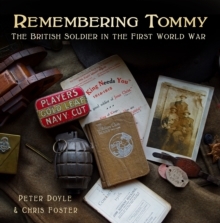 With striking original photography by Chris Foster and expert text from noted historian Peter Doyle, it looks in detail at fifty objects that Tommy would have had in his kit and which would have accompanied, equipped and comforted him during his wartime ordeals: official uniform, training manual, cigarettes, good-luck charms, sweethearts' letters, foreign phrasebook and myriad others.